10" x 13" Watercolor and ink on watercolor paper. 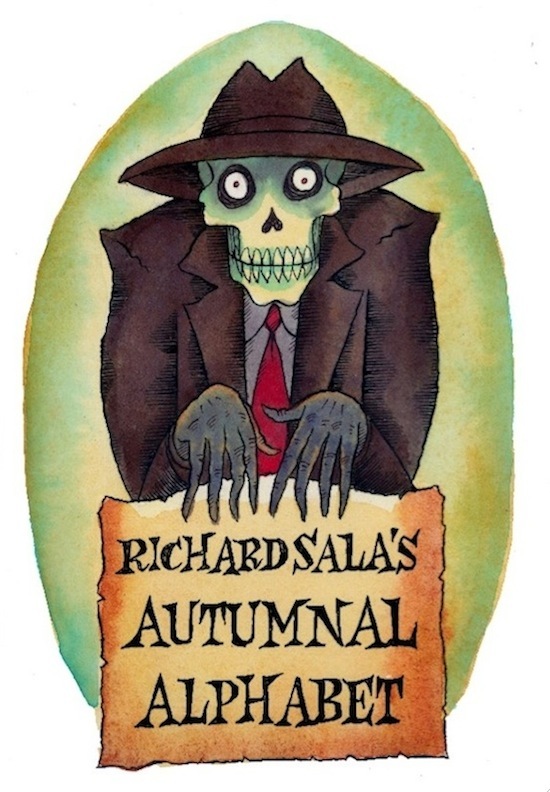 This is the art used for the cover of the Autumn and Evil series, except it has the original title ("Autumnal Alphabet") hand-drawn onto it. When I changed the title, I put the new lettering in with photoshop. Will be neatly signed on bottom right.